Norton Depressed Center Wheel, 5 In Dia, 1/8 In Thick, 5/8 Arbor, Zirconia/Alum. A blend of R&D advanced chemistry and shaped zirconia alumina abrasive and premium aluminum oxide grain. 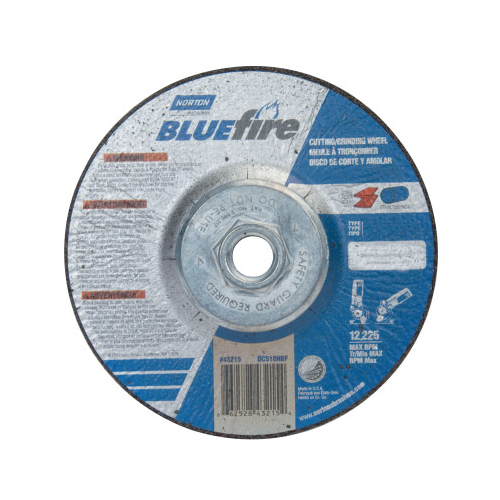 Up to 20 percent increase in performance and life over our former zirconia alumina wheels. 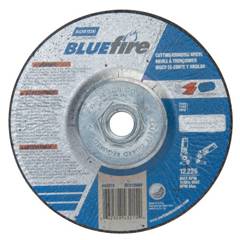 Excellent performance-to-price ratio for lower total grinding costs.